I saw Elton John in 1976. 1. Elton John has been super-famous, larger than life for so long, that people don’t really remember that he was once a little boy with a sad childhood who grew up, paid his dues playing piano covers in pubs, writing songs “Tin Pan Alley” style, and traveling with a blues band called Bluesology. 2. His fans are old. From our cheap seats, we had a great view of the jewelry rattlers in the floor seats - and it was a sea of grey heads. Sadly, I, also, am old. Yet despite the evidence to the contrary, I will continue to insist that I am young – that when I walk down Franklin Street, I blend right in with the students. Also, old people look funny when they act like young people at a concert. I include myself in this indictment. 3. When we were walking in, I said to Tom, “I hope he plays a lot of obscure songs that only I know.” I was kidding, but he did play a few obscure nuggets like Holiday Inn and Grey Seal. I could have done without I’m Still Standing, however, even though I appreciated the sentiment. A high point of the evening: His feisty rendition of The B*tch Is Back, with a video screen that flashed "B*TCH" every time it occurred in the song, along with other hilarious visuals like lipsticks and the silhouette of a dancing woman... I guess if I were mature, I would have been offended, but it was simply too funny. 4. 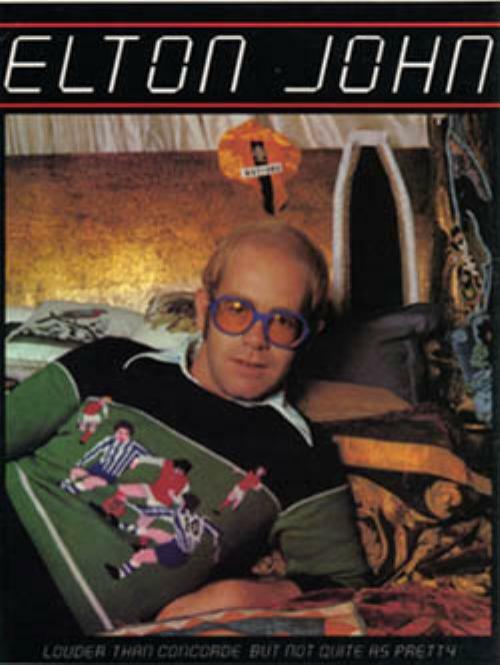 I did not have sophisticated music tastes as a preteen/teen... Elton John is a great musician... not much of a rocker, though. His music smacks of the English music hall and musical theatre...you know... POP. This bothers my husband, who is hypersensitive to what is cool, but it doesn’t bother me at all. Elton was what I needed when I needed it. At a certain point the other night – I think it was during Rocket Man, I re-experienced that old feeling... like I was wrapped in a cocoon of a sweet part of my adolescence. 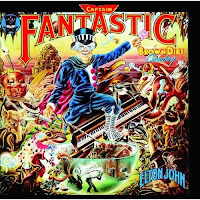 Being a teenager can be agonizing, and I often shut out the pain by hunkering down under my headphones, filling my noggin with Elton John’s perfect melodies and soaring harmonies. Banging out approximations on our piano in the basement was also a lovely escape for me. 5. Also lovely: my hilarious sister Lea and her husband were at the concert with us. 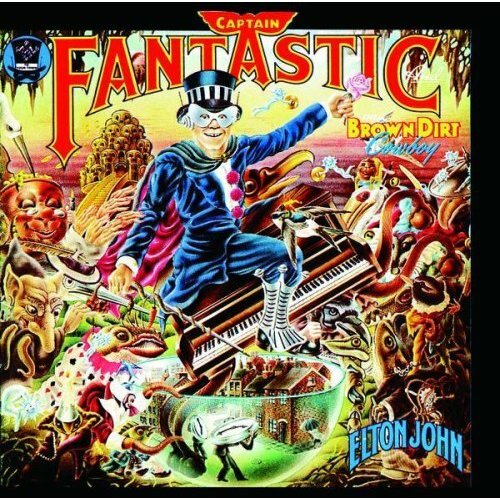 I sort of feel sorry for my younger siblings, as they were forced by their over-enthusiastic older sister to listen to Elton John too... since I always had him playing. But, I guess since she wanted to go to the show, she didn’t hate it! Anyway, it was great to share the experience with Lea. And she never fails to crack me up. 6. 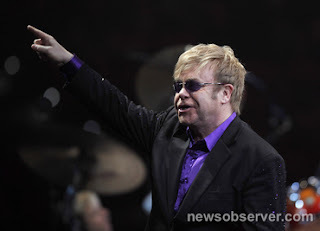 Elton has these great, well-loved songs, but we can’t really know anything about him by listening to them – except maybe what his sense of song is. 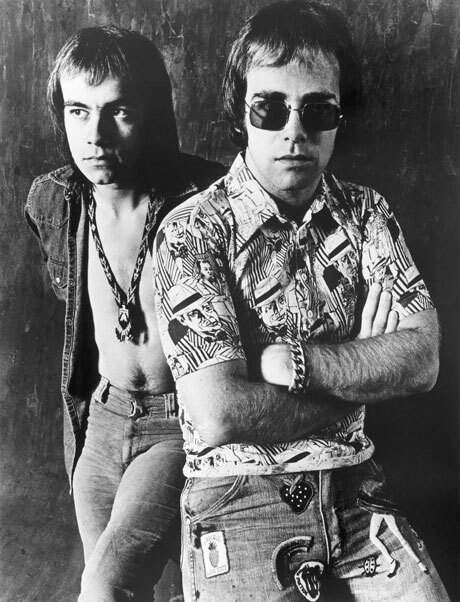 Because the words were written by someone else – namely, Bernie Taupin. And even then, much of the time, the songs are stories, and not introspective. In his youth, Bernie was a romantic soul, fascinated with, among other things, the American West. 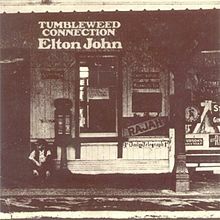 The record Tumbleweed Connection is loaded with images of Americana. 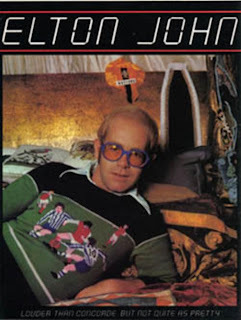 The stories are evocative, but I always loved when Bernie wrote about their own story: Tiny Dancer was about his then-wife's seamstress who worked on Elton’s costumes. Captain Fantastic and the Brown Dirt Cowboy was an entire album of songs about their origins as a songwriting duo for Liberty Records. It’s one of my favorite records of his. 9. At Friday’s concert, he had drummer Nigel Olsson and guitarist Davey Johnstone with him. I LOVE these guys! They, along with Dee Murray made up his band when I was a youngster. 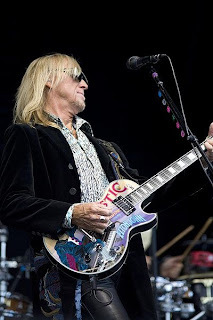 Davey Johnstone, if I understand correctly, did a lot of musical direction of the earlier albums like Goodbye Yellow Brick Road, figuring out those tight harmonies that I know like the back of my hand. At the show he played not only guitar, but mandolin and banjo. A musician extraordinaire, is our Davey. 10. I do know EJ’s earlier work intimately. I am deeply familiar with every guitar lick, every backing vocal, every bass riff... every word, and intention. They were a big part of my inner world back in the day. Judging by the amount of singing along at the show, I was not the only one. 11. On the way over to the show, we listened to Bruce Springsteen’s keynote speech at this year’s SXSW festival. He brought up a group he admired as a youth - The Animals. “They were considered one of the ugliest groups in rock ‘n’ roll… That was good for me, ’cause I considered myself hideous at the time.“ Anyway, this was one thing I loved about Elton when I was young - he was proof that you didn’t have to be beautiful to be somebody. Really, he was a short, chubby, balding guy with glasses and he was rockin’ (or poppin’, I guess) people’s socks off. As a short, chubby girl with glasses, I found this to be... a relief. Not that I’m poppin’ anybody’s socks off, but ... it was nice to know that beauty was not a requirement for success. 12. Elton John has tiny hands. I could tell from whenever they showed them on the huge screens... but they move effortlessly across the keys. Of course he’s been playing since he was 3 – that’s 62 years... Lore has it that he was a prodigy. I have no idea how to wrap us the list of random thoughts about Captain Fantastic. I’m no longer twelve, and I know he’s not hip... and but I still do love him! It's Like Candy from a Stranger! Eating – Yes! Writing About Eating – Not So Much.